It's been two long years since VideoLAN project members had Apple remove the original VLC iOS app from the App Store, arguing that the digital marketplace violated the application's open source licensing terms. 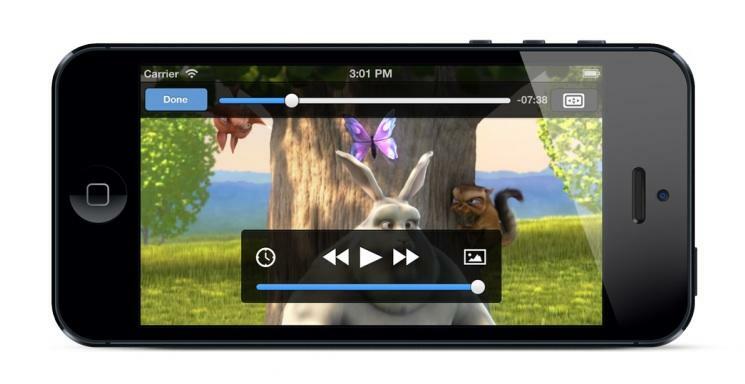 Now everyone's favorite video player is set to return to iOS devices starting tomorrow. It should work on any iPhone, iPad and iPod touch running iOS 5.1 or later, The Next Web reports. The new VLC iOS app has been redesigned from the ground up, and its code will be posted publicly online as well if you're into that. To get around the issues that forced Apple to pull the app last time, the new 2.0 version has been bi-licensed under both GNU General Public License Version 2 or later and Mozilla Public License Version 2, which will allow it to be distributed by the App Store. "We worked hard with all major copyright holders to not repeat history and we are confident to have achieved this goal," VideoLAN told TNW. The new app is reportedly much faster, supports just as many types of video files as the desktop version of VLC, and even offers subtitles. There are also additional ways to sync your media to iOS devices including over Wi-Fi, Dropbox, via Web download or through a number of third party apps. Perhaps most exciting, VideoLAN will also release an SDK for the app later this summer at the same time VLC 2.1 for desktop is rolled out.